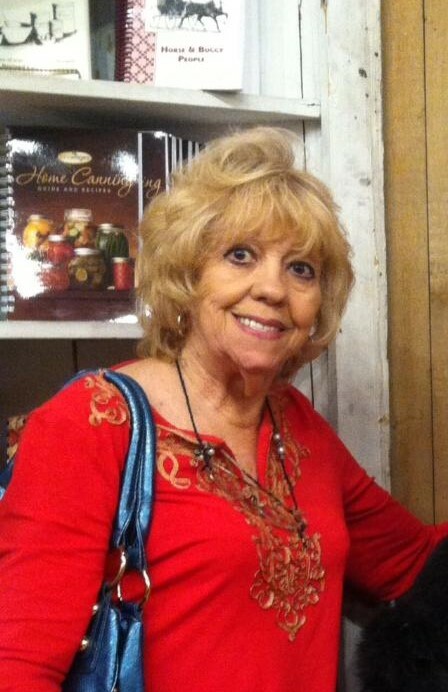 On the morning of Monday, April 15, 2019, Shirley Ann Hensley, age 76, of Marion, North Carolina passed away at Hospice of The Carolina Foothills with her loving family by her side. She was born on February 27, 1943 in McDowell County to the late Robert and Maxine Romine Arrowood. In addition to her parents she is preceded in death by one brother, Robert “Pudge” Arrowood. Shirley was a member of the Ridgeway Free Will Baptist Church, and she truly loved all of her church family. She enjoyed traveling and shopping and was always known as being well dressed before she went anywhere. Shirley was a big influence in everyone’s lives and will be missed greatly. Left to cherish her memories are her husband of twenty-five years, John M. Hensley; one son, Dwayne Morgan (Sandi); one step-sons, John M. Hensley, Jr.; one brother, Norman Arrowood (Wanda) and one sister, Pat Vaughn (Larry). Also surviving Shirley are her granddaughter, Aspen Morgan Mauney (Jason); one great-granddaughter, Maxine Mauney; three step-grandchildren, Blake, Cassidy and Cade Hensley and a number of nieces and nephews. A funeral service to celebrate Shirley’s life will take place Saturday, April 20, 2019 at 3:00 p.m. at Beam Funeral Service with Reverends John Crowder and Tim Sigmon officiating. The family will receive friends from 2:00 p.m. until 3:00 p.m., one hour prior to the service at the funeral home. Interment will take place following the service at Ridgeway Free Will Baptist Church Cemetery. Flowers are accepted and appreciated, but those wishing to make a donation in Shirley’s memory are asked to consider, The American Heart Association, 4217 Park Place Court, Glen Allen, Virginia 23060.